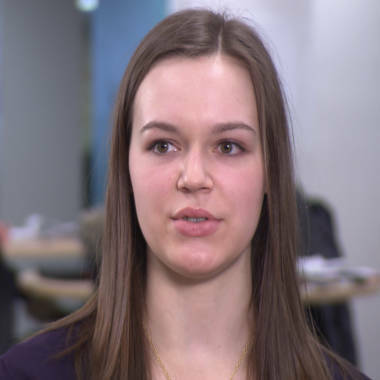 As the costs of education continue to soar, a growing number of young people are considering Canadian colleges where the tuition is a fraction of what students pay in the U.S. NBC's Rehema Ellis reports. 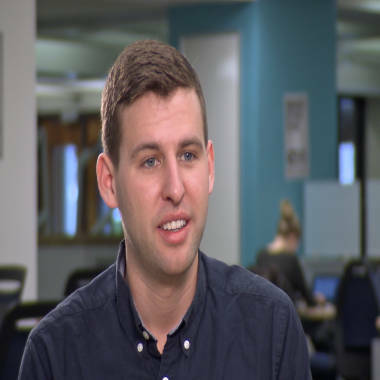 MONTREAL, Canada -- Eric Andreasen is a college student from Portland, Maine, who has his sights set on a career working for a lawmaker in the nation’s capital. But even though the political science major plans to go straight to Capitol Hill when he graduates this spring, he will have a degree from a Canadian college -- McGill University in Montreal. Eric Andreasen, 23, from Portland, Maine, is studying political science at McGill University in Montreal. Back when Andreasen, 23, was deciding where to go to college, he applied to a dozen U.S. schools. When it came time to choose, he narrowed it down to either George Washington in D.C. or McGill just north of the border. McGill offered him a full undergraduate university education for what it would have cost for just one year at G.W. “When the financial packages came in, it was a no-brainer for me,” Andreasen said. Indeed, with strained family budgets and the soaring cost of tuition at American schools, the coveted university degree often comes with just too much debt for many students. Leah Ott, 20, from Houston, Texas, is a physiology major at McGill University. Six percent of McGill’s student body is American, and the ranks are growing. The number of U.S. students at Canadian colleges rose 50 percent in a decade, and now about 10,000 Americans attend Canadian colleges, according to the Institute for College Access & Success. For Leah Ott, the financial differences were hard to ignore. Students on the campus of McGill University in Montreal. Not only are the costs of tuition lower, but American students can even use college savings plans, U.S. student loans and apply for scholarships at some schools in Canada. And according to the students, the application process is simpler, with Canadian universities typically putting less emphasis on essays, recommendations and interviews. A bachelor's degree from a Canadian university meets a global standard, said Paul Davidson, President of the Association of Universities and Colleges of Canada. Which, along with the price, makes it all the easier for American students to head north.